Videogames stopped being just for kids on September 24, 2001. That was the day that Fumito Ueda's Ico came out for Sony's year-and-a-half-old PlayStation 2. Ironically, it starred two kids. What was different about this four-years-in-the-making effort — ground zero for the games-as-art argument — was its focus on eliciting emotion from the player. 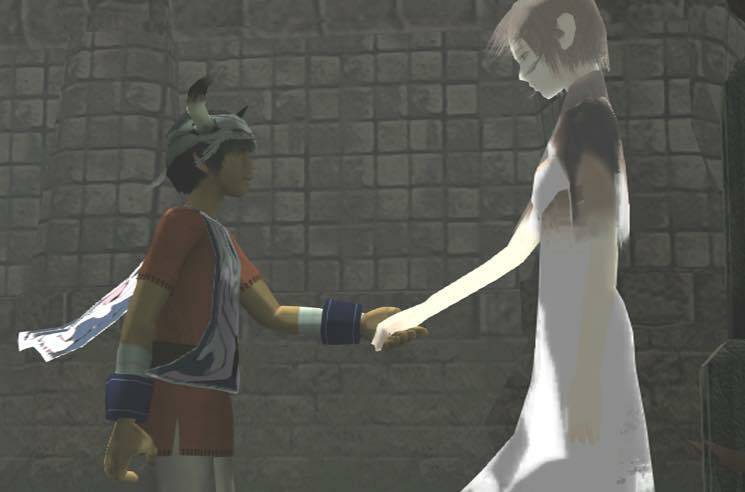 In a soaring, cinema-worthy opening that's lost none of its ambitious impact 15 years later — despite gaming's graphical leaps forward — a horned boy named Ico is brought by boat to a mysterious castle, a massive M.C. Escher-inspired structure of bleached-out bricks. "Do not be angry with us, this is for the good of the village," his captor says sadly, looking away. Ico is to be a sacrifice. Once inside, he meets another, a caged girl name Yorda, and they join forces to escape their confinement and the horrifying shadows that are their jailors. And they do so, for the most part, while holding hands. The art direction remains as perfect as anything to come out in the 15 years since, the sound design is ominous and affecting and the environmental puzzles are as clever as ever. But it was the visionary boldness of Fumito's tragic masterpiece — epic yet minimalist, revelling in quiet moments between eruptions of danger, and able to somehow create an emotional bond with a non-player character despite almost no dialogue — that makes Ico so important that in 2013, Wired declared it "The Obscure Cult Game That's Secretly Inspiring Everything." In case it wasn't clear that gaming had grown up, a mere month later, Ico's polar opposite arrived: Grand Theft Auto III. After a pair of top-down games that were only innovative in their pro-criminal perspective, the third GTA's open-world ushered in the sandbox era. Ueda would up his game a few years later with Shadow of the Colossus, a similarly minimalist tragedy reduced to only boss battles that turned their massive bodies into levels, and then made you feel bad for killing them. Rockstar would do the same with GTA, hitting the road for '80s-era Miami in Vice City and then going back to Cali for the sprawling, '90s gangsta-rap inspired opus, San Andreas. Thus the PS2 began an unparalleled run that included bloody Greek myth God of War games and mega-selling JRPG Final Fantasy X and helped it lay claim to being the best — and the best-selling — console ever, shifting over 155 million units before it was finally discontinued in 2013, six years after the PS3 came out. The original Xbox brought online gaming from PC to console with the one-two punch of Halo and Xbox Live. They also landed the best Star Wars game, Knights of the Old Republic, and had quirky exclusives like Stubbs the Zombie in Rebel Without a Pulse, a hilarious retro-futuristic zombie game with the coolest soundtrack ever, and Jet Set Radio Future, a cel-shaded inline skating sim set in a dystopian, corporate-controlled Tokyo. The GameCube is remembered as a commercial failure but it saw some success on the creative front. Nintendo godhead Shigeru Miyamoto not only turned his love of gardening into Pikmin, but they also created the village sim Animal Crossing, turned Metroid into a first-person shooter, went ultraviolent with Suda51's Killer 7 and released popular franchise entries with Super Smash Bros. Melee, Mario Kart Double Dash, Super Mario Sunshine, Paper Mario: The Thousand-Year Door and the cel-shaded Legend of Zelda: Wind Waker. Then there was Chibi-Robo!, a game where you played a three-inch-tall helper robot who did chores while trying to make your new family happy. This challenge was that the mom was weeping upstairs after having kicked dad down to the couch for buying you after he was laid off at work. Oh, and the daughter thought she was a frog and at night tiny robots would invade your house. 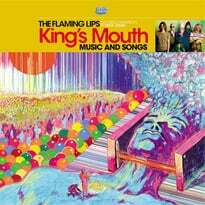 That sort of gleeful weirdness was all over this generation. My two favourite games of all time were from this era, Tim Schafer's Psychonauts and Michel Ancel's Beyond Good & Evil. The former was a charming and often hilarious platformer about a summer camp for psychic kids, with each level taking place in a different character's subconscious. These minds were as wonderfully surreal as you could hope for, ranging from a conspiracy theorist's vision of 1950s suburbia to a level inside a black velvet painting, to a seemingly happy level inside a disco ball that held a horrifying secret. Beyond Good & Evil was something of a response to aftermath of 9/11. You play a female photojournalist recruited by an underground resistance movement to help uncover a conspiracy between an authoritarian regime and invading aliens. It's an allegory about how the government uses media, fear and perpetual warfare as a control mechanism, but it's also a fun, adorable sci-fi action-adventure where your weapon is a camera and your best friend is a talking pig mechanic. Both were auteurist in a way that non-indie games are rarely allowed to be these days. Budgets have ballooned into the tens or hundreds of millions — Destiny infamously launched with a $500 million investment, including marketing and tech development, and GTA V cost $265 million. These are the high-water marks but most major games must sell three to five million or more to break even. There's too much risk to base a game on a single person's vision. Back in the early 2000s, when games cost between $5 and $10 million to make, developers could afford experiment, whether it was Clover Studio's playable Japanese painting Ōkami, Rockstar's bold private school-set Bully, or Katamari Damacy, a whimsically strange game where you basically rolled up the world into a giant ball. There was also more variety because more non-traditional gamers had consoles in their living rooms thanks to Sony's ingenious idea to charge less for a PS2 than a then-new DVD player. Plenty of PS2 (and later Xbox) owners bought them to watch movies and then tried out games, which were also much cheaper and therefore an easier sell for casual gamers. By comparison, there were about 200 million sixth-gen consoles in the wild, while the current eighth generations claims only about 50 million sold so far. Another reason why sixth-gen games were so good was that the technology had progressed enough to fully realize design ambitions, but because they were still standard definition, developers couldn't rely on the distraction of photorealism. Instead, they had to make do with what they had — much like 8-bit-era composers creating chiptune symphonies because there wasn't memory space for actual instruments — and that led to stronger narratives, stylized art and intricate level design. It also helped that games were smaller in scope — geographically, narratively and in both gameplay and length — creating a more streamlined, focused experience. With today's triple-A games starting to sink under their own weight, hopefully developers will learn to merge those old attributes with new tech to take us back to the future. At the very least, Fumito Ueda's long-awaited The Last Guardian is arriving later this year to show the way.